Crobot have premiered their new track ‘Full Moon Howl’ exclusively via Guitar World. Being favourites of RARC we are totally biased in thinking it is awesome, but recommend that you listen to it and then agree with us. The track is a special bonus track for the re-issue of their excellent debut album ‘Something Supernatural’ and the band will be releasing two deluxe components to the album: The Something Supernatural Full Moon Edition, a deluxe digital album featuring 4 new tracks, due April 21, and the Full Moon Howl LP, a limited edition 10 inch picture disc featuring 4 new tracks plus a never before released live track, due May 26, so even if you already have the album, it is worth investing in another copy for the additional tracks, as you can never have enough Crobot albums. Having just conquered Europe on tour with Black Label Society and Black Tusk (where we rather embarrassingly literally bumped in Brandon at the Roundhouse in London, awesome guy!) Crobot will also join Volbeat and Anthrax for a North American arena tour from April 24 – June 2. 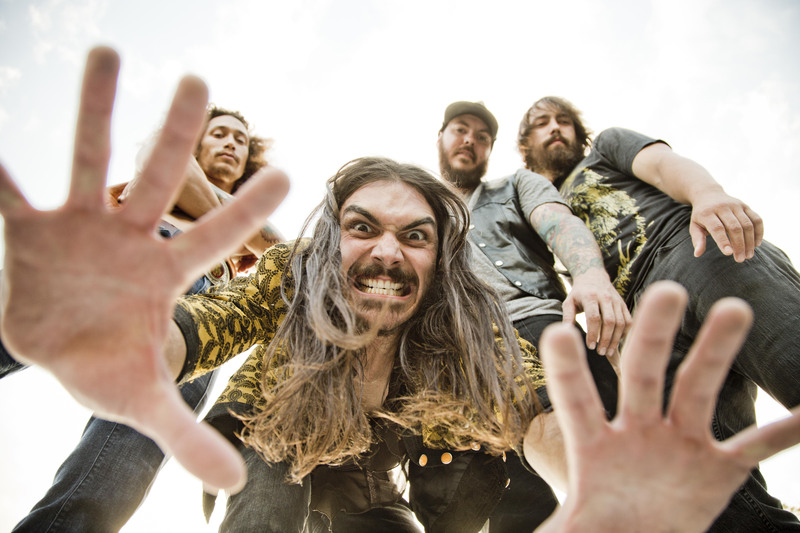 Crobot are stunning live, so these are shows not to be missed.